Johns River Gorge | Protecting the Blue Ridge Parkway in N.C. This spectacular 198-acre tract sits squarely in the middle of the Johns River Gorge below Blowing Rock, surrounded by Pisgah National Forest and Moses Cone Park. The property contains old growth forest, China Creek, and other headwaters of the Johns River. A guided tour down the trail is available for download onto your mobile phone at www.travelstorysgps.com. CTNC purchased the property in 2001 to stop pending plans to develop it as residential housing. 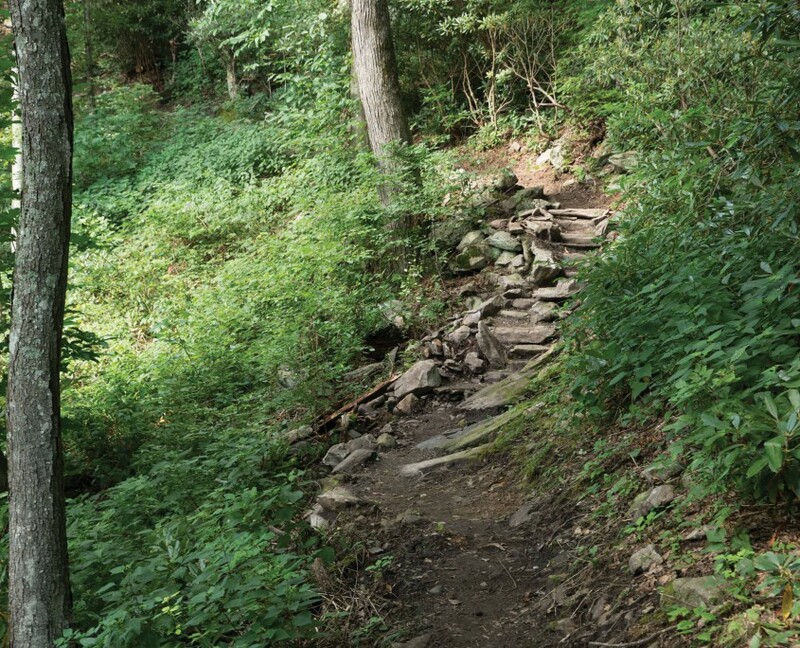 The trail was restored and reopened by the NC Youth Conservation Corps and CTNC in 2015. Directions: From Blowing Rock: Take US-221 S for 1 mile. Turn left onto Laurel Lane. After 0.3 miles the trailhead with a kiosk will be on your right, across from the horse stables. There is parking for two cars at the trailhead.